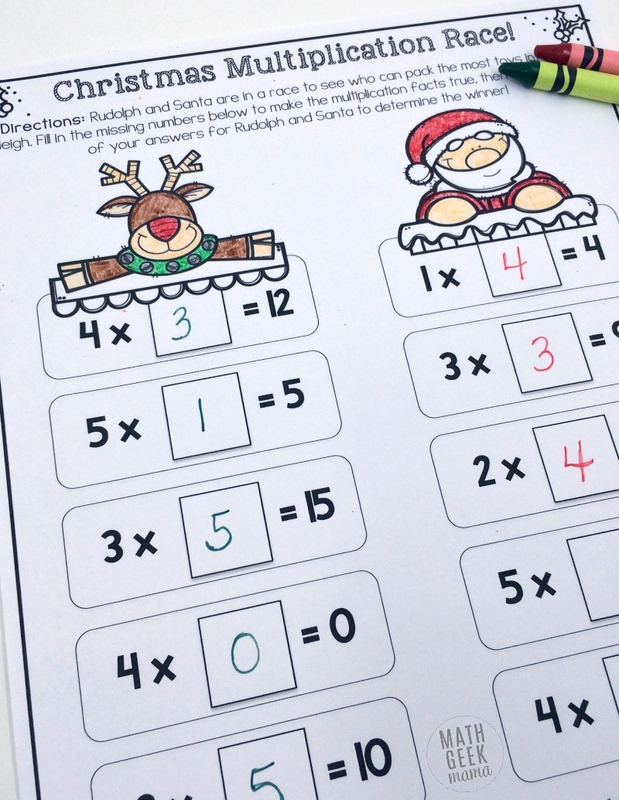 Today for my “12 Days of Christmas Printables” post, I want to share a fun and easy way to practice those multiplication facts. This cool multiplication game is a little bit different because rather than requiring kids to solve the multiplication problem, they have to give the missing factor. This is a great way to reinforce their knowledge of the multiplication tables, increase fluency, as well as prepare them for division. Plus, there are multiple versions, depending on the age a stage of your kids! Each page in this download is set up as a race between two Christmas characters. 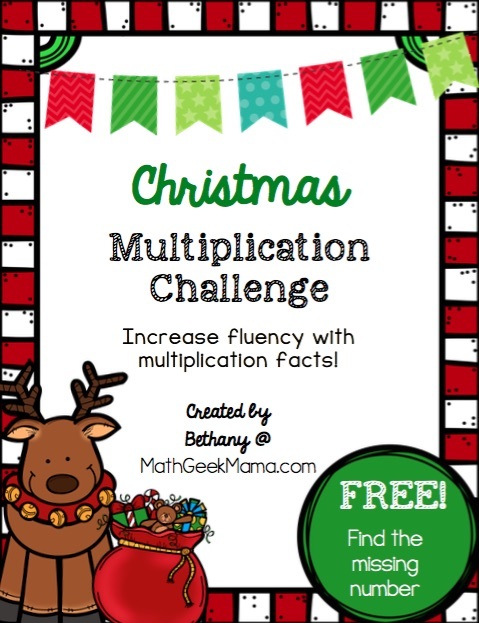 These multiplication challenges can be used individually or with a partner. If completed with a partner, each child would choose a character to complete. They would then solve just that one column. If used individually, the child would complete the entire page, and then determine which character won. 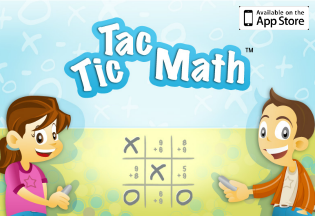 To determine who wins the race, players complete the multiplication facts by finding the missing factor. They then find the sum of their answers, and the character (or player) with the greatest value wins. 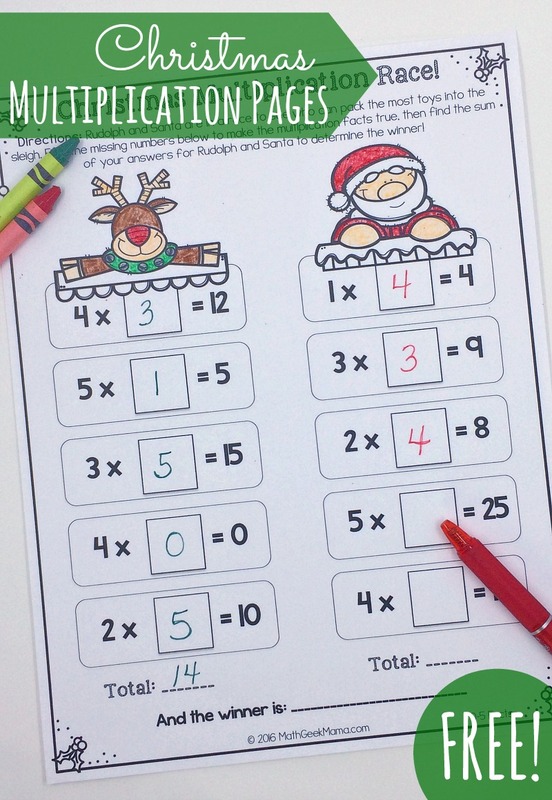 This download includes 3 different pages of multiplication races. They vary in the problems included, however, to help you differentiate. The first page only includes facts from 0-5. The second page includes facts from 6-12 and the third page includes facts from 2-12. Each page is also labeled for your convenience. If you have students of different abilities, or needing to focus on different facts, this is a simple way to do that. Even if you are giving this assignment to your entire class, each child can work on the same skills, in the same way, but with different problems to focus on. 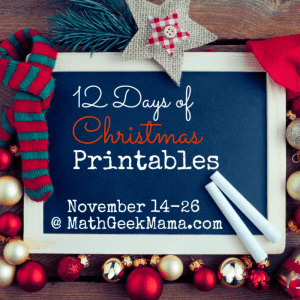 And of course, stay tuned for more fun Christmas themed math activities and games in my “12 Days of Christmas Printables” series! 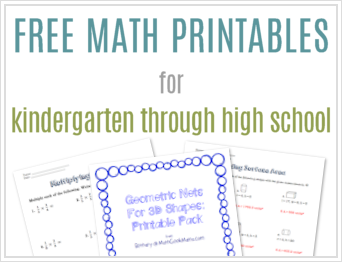 Want every freebie from the "12 Days of Christmas" math series sent straight to your email? Sign up here to have all 12 sent straight to your inbox! 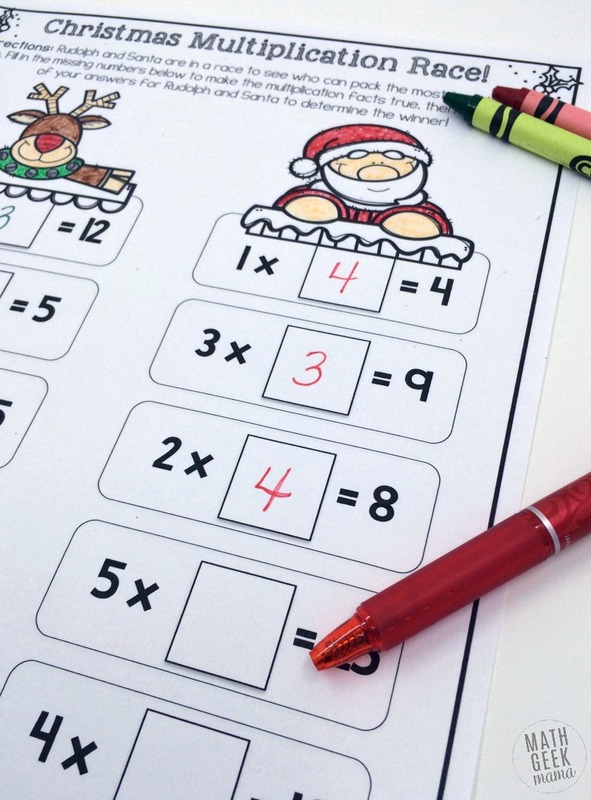 That's a new, FREE math activity everyday for 12 days! 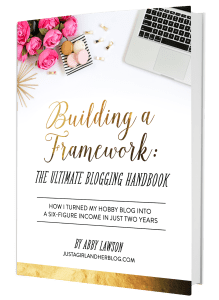 After the completion of the email series, you will be added to my email list to receive regular updates, freebies and offers. Send me my Christmas freebies!